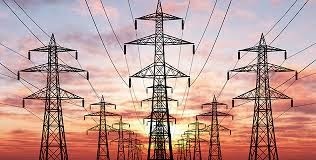 The Ministry of Power said Thursday that power output dropped from a recent peak of 4,500MW on April 3, to 2,800 as of March 30. Godknows Igali, the Permanent Secretary in the ministry blamed the huge cut on “vandalism of gas pipelines”. Mr. Igali spoke at a meeting with the Commandant General of the Nigeria Security and Civil Defence Corps (NSCDC), Ade Abolurin, where he called for increased protection of Nigeria’s power infrastructure. He said the affected pipeline is the Escravos route. “As at April 3, which is the nearest reference point for us, we were able to generate about 4,500MW on the grid, but as at this morning we had gone down to about 2,800MW. “So you can see how much power we have lost as a result of vandalism, that is why power supply has become very bad all over the country because of these strange Nigerians that continue to deliberately blow up our gas pipelines,” Mr. Igali said. All Nigerian cities, including the capital Abuja and Lagos, have witnessed one of the worst electricity supplies in recent years, with power available for less than five hours a day in many areas. The supply has dropped even more in the last weeks as many Nigerians struggle with rising temperatures. The permanent secretary decried the activities of the vandals and described their action as national economic sabotage. He said the ministry of power was working more closely with the security agencies, especially the NSCDC to adequately protect power infrastructure across the country. Mr. Igali said the damaged pipelines were being repaired to boost power generation and distribution across the country. Earlier, the Civil Defence boss, Mr. Abolurin, who strongly condemned the activities of the vandals, said personnel were working to curtail the menace of pipeline vandalism in the country. He said the NSCDC had acquired more vehicles, boats and gadgets to aid its operations, especially in the Niger Delta region. Mr. Abolurin said in 2015, about 50 culprits have already been convicted by the law courts while several others had been arrested and awaiting prosecution. He said the NSCDC would not relent in his effort to ensure adequate security and protection of critical power infrastructure across the country in line with its mandate.